In a time and age where reading seems obsolete and a waste of time, an unexpected experience will take adults, especially parents, by surprise: children WANT to be read to. Whenever parents read to their children, whether it is during the day or right before bedtime, children have fond memories of being read to. So why don’t parents begin a new reading journey with their children? 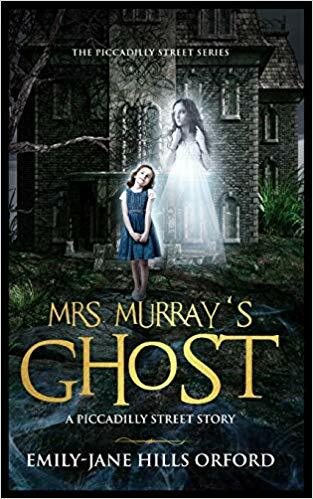 A perfect book for such an occasion would be author Emily-Jane Hills Orford’s first title in her The Piccadilly Street Series: Mrs. Murray’s Ghost. The year is 1967 and ever since their move from their home in Canada to a Victorian mansion in England, ten-year-old Mary believes she and her family now reside in a castle. With so much more space to move into and a new life to being with, what more could a young girl ask for? How about a ghost who resides in the old mansion who wishes the new residents to be gone? Or the Brownies living in the walls who believe Mary to be connected to the ghost of the mansion? Shortly after witnessing the strange, mystical, and paranormal figures lurking in the house, Mary becomes deathly ill and it is now up to her new companions to save her. In order to do so, the Brownies and the ghost must travel to Mary’s fever-induced dream world where she is trapped and must face off against a witch and her followers. Should they fail to best the witch, they will all be forever trapped in the dream world where no one will be able to find or save them. While the story may be more geared towards an audience between the ages of around eight through twelve, Mrs. Murray’s Ghost is a story that can be enjoyed by audiences of all ages. The talented Orford has a gift of mixing genres together and creating an enticing story, as readers will find in this story alone elements of the paranormal, the magical, and the historical. Not only are readers treated with a variety of genres within a single story, but they are also treated to the author’s writing style. The best way to describe Orford’s writing style is peaceful. Even with the few instances of chilling elements or darker historical facts, her calm writing voice flows so beautifully smooth that it simply calms the reader, regardless what the story is telling at a particular moment. There are many enjoyable elements a younger audience will take from Mrs. Murray’s Ghost. Perhaps the main element that can be enjoyed are the many genres that can be found within this single story. The age group Orfrod geared her story towards is an excellent age to begin introducing various genres to for she introduces the perfect amount of various elements and genres to gage her audiences’ attention. There is the right amount of paranormal suspense given to her young audience without utterly frightening them. The perfect amount of historical fiction to intrigue them without the monotonous lessons found within history class at school. And the exemplary amount of fantasy to expand their minds to a world beyond imagination if their minds dare to dream that far. These various genres allow a younger mind to expand and it helps to introduce them to different genres they may become interested in exploring in the future. Not to mention there is a line that many younger readers should take to heart as well as act as a reminder for older readers: “a day without reading would be like a day without sunshine” (Orford 23). Younger readers may not fully understand this, but adults most certainly will as reading has proven time and time again as a means of learning the real world as well as a means of escape from it. While children will not be able to catch on to as many details as adults will, Orford has provided many enjoyable elements for adults in her young readers’ series. For starters, not only are the various mix of genres impressive, but also her use of point of view. One would believe the young Mary to be the main character readers follow; however, this is far from the case. Readers will find themselves following not only Mary, but the ghost and the Brownies, as well, along with other characters. In all honesty, this is a rare and intriguing find in any book. There is also a memorable lesson that can be found in Mrs. Murray’s Ghost that can be taught to children: the love found only within a family. Even during a harsh time, Mary’s family remains strong and they offer her love and strength as she literally fights for her life. The love and value of family is an excellent lesson to talk about with children. Included in this lesson is the love and caring nature found within an external family: the family that is not related to one by blood. The ghost and Brownies of the story become an additional part of Mary’s family and members who would do whatever it took to save her. This also teaches children that one can have an additional family outside of the blood family one grows up with. Orford is an incredibly talented author with many titles of various genres under her belt. One such title is Mrs. Murray’s Ghost, the first of her The Piccadilly Street Series. This coming-of-age series for younger readers is loosely based on the author’s childhood dreams and fantasies and offers a variety of genres such as the paranormal, the fantastical, and the historical to introduce to younger developing minds. Coupled with this plethora of genres comes Orford’s calming writing style. She gives a writing style that is unlike many that can be found nowadays, offering a beautiful and peaceful reading experience many will not come across often during this day and age. 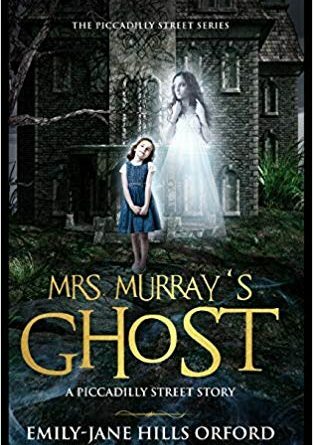 Mrs. Murray’s Ghost is a story readers of any age will enjoy, a story that will hopefully become the next to create memories for parents and children alike, and a series that will continue to offer more adventures for Mary and her newfound friends.